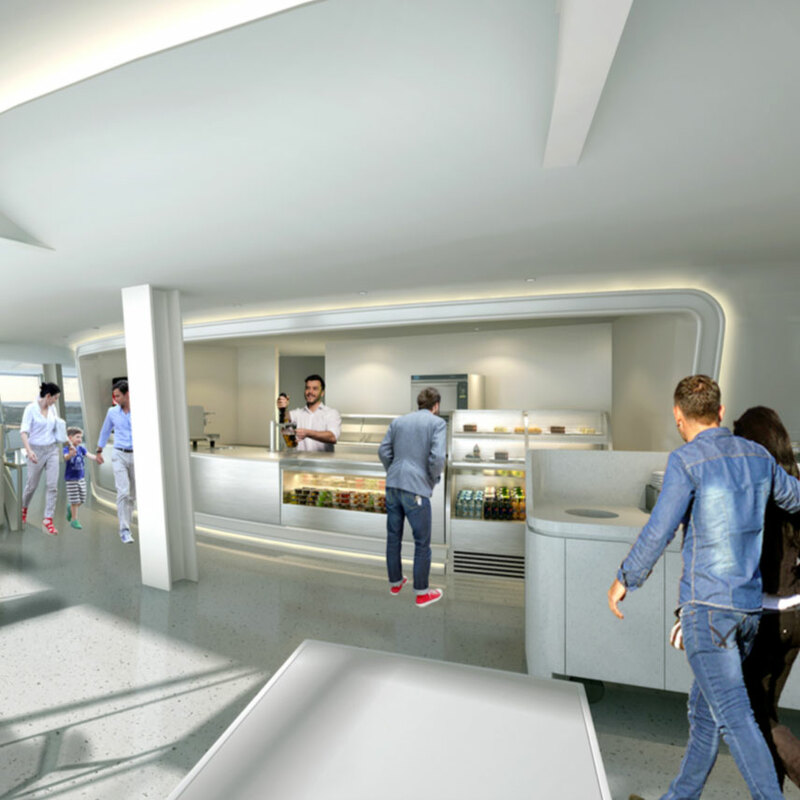 For the first time in half a century, the Space Needle has been totally transformed to take your visit to the next level — and beyond. Scroll down to discover more before you go up. Now, incredible views of water, mountains and city are no obstacle. For the first time, explore both levels of the Space Needle with a single ticket. With new, floor-to-forever glass your views are as limitless as your options. Two Levels. One Amazing Experience. Prepare for one thrilling journey of discovery. Move freely between floors and click on the image above to see all the Needle has to offer. You’ll love it in a heartbeat. 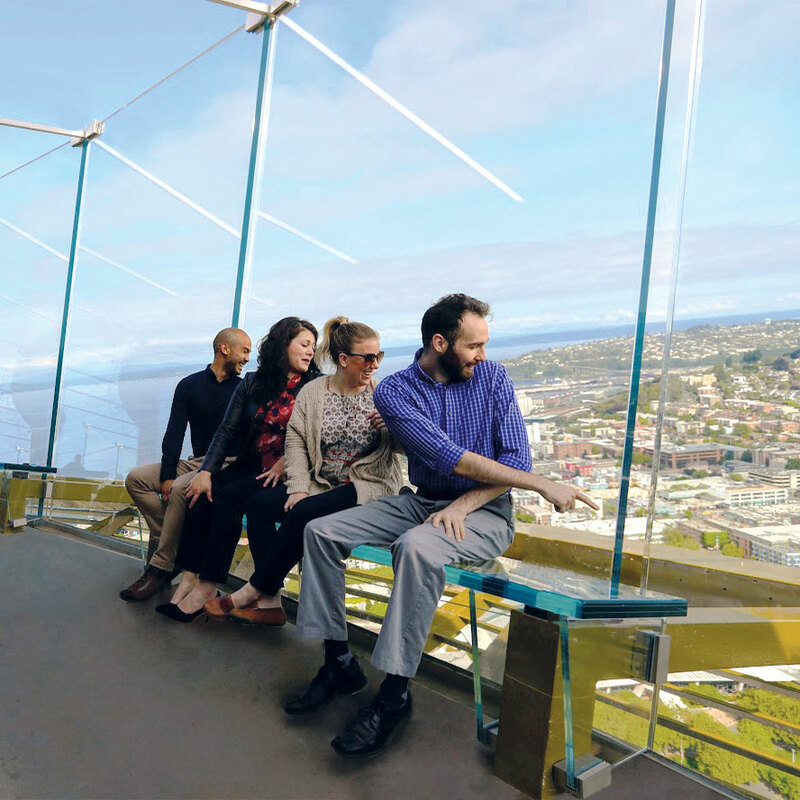 Float over Seattle as you sit back on one of the inclined glass benches in the open-air observation deck. Sip, snack, and soak up the views with the best bites and brews from the Pacific Northwest. 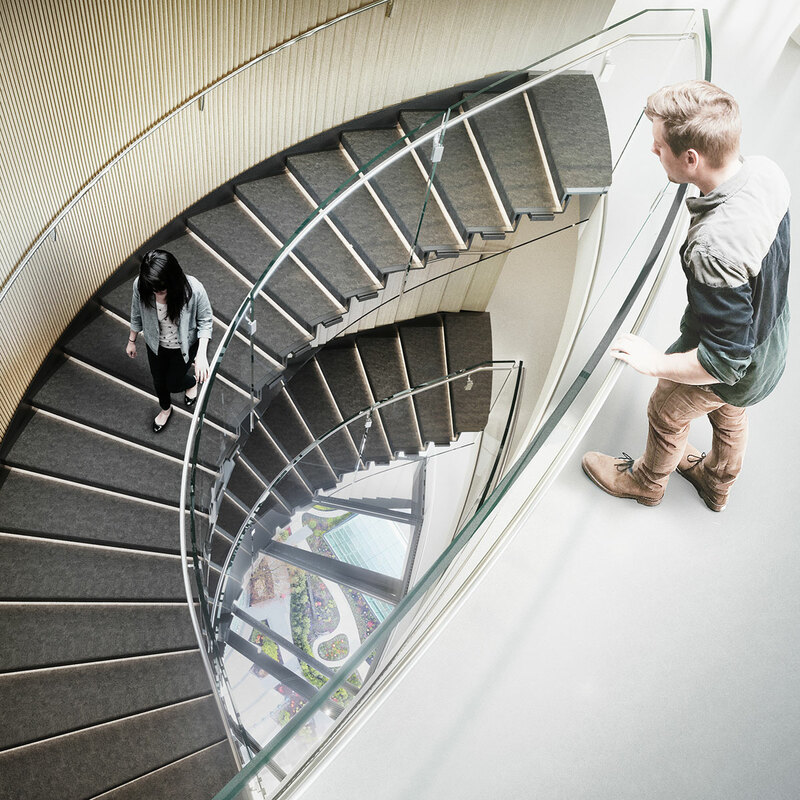 Step beyond on the suspended Oculus Stairs and enjoy all the views from the two observation levels. The view will floor you, literally. 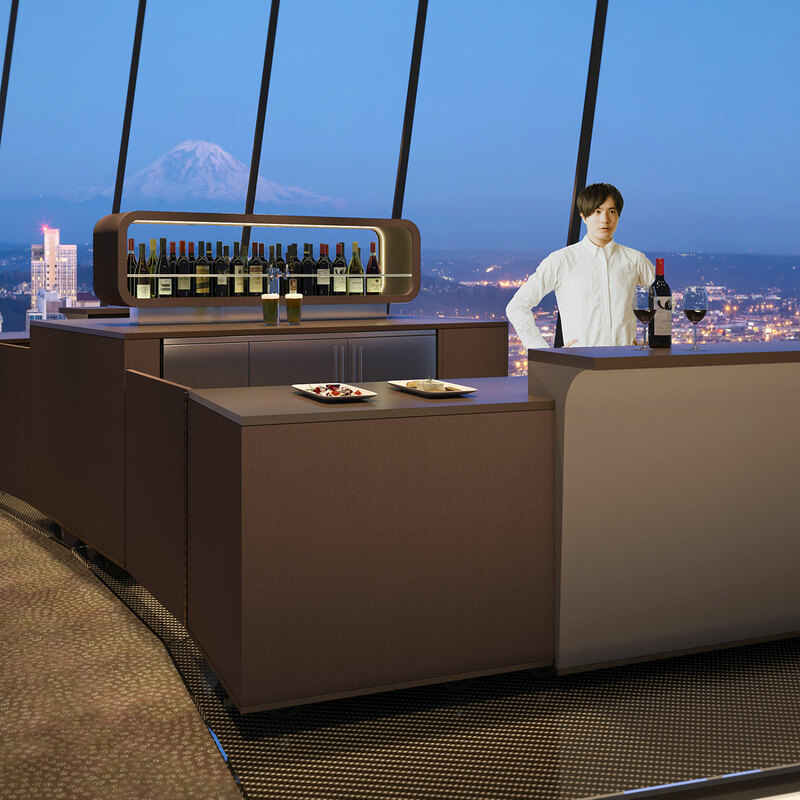 Step out onto the world’s first revolving glass floor with Seattle at your feet. 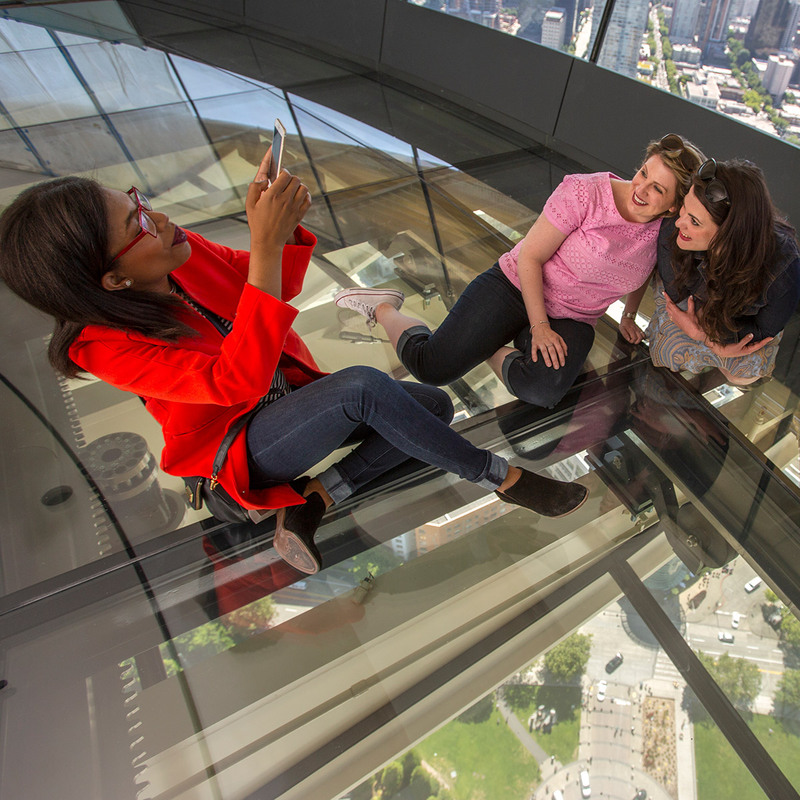 Enjoy beer, wine, and signature food selections with clearly the best view in town at our glass floor bar, 500 feet in the air. Discover two entirely new levels of thrills! From an all-glass floor below to an open-air deck above. Want to see more Seattle? Trust the ultimate local to fill your Seattle bucket list with tours, tips, and tickets. Visiting with a group of 15 or more? Want to bring your school group to the Space Needle? Learn more about our special rates here. Proudly making a difference in our community for over half a century. It all started with a doodle…! Find out more about the Space Needle then and now.